Is Rahim Interrogated Using Legally Questionable Methods? - In August and November 2007, an unnamed prisoner in a secret CIA prison is forced to stay awake for up to six days straight. This is almost certainly Rahim. The US State Department considers this treatment torture when other countries do it (see August and November 2007). An unnamed prisoner held in the CIA’s secret prison system is kept awake for up to six days straight. According to documents made public in 2009, in August 2007, the Justice Department’s Office of Legal Counsel (OLC) gives CIA interrogators permission to keep an unnamed prisoner awake for five days straight. The prisoner is kept awake by being forced to stand with his arms chained above the level of his heart. He is forced to wear diapers, so he can stay continuously chained without bathroom breaks. Then in November 2007, interrogators ask for and receive permission to keep a prisoner awake for another day. A prisoner is kept awake for six days straight. Who Is Interrogated? - The name of the prisoner is blacked out in documents. However, the Associated Press suggests that the most likely candidate by far is alleged al-Qaeda leader Muhammed Rahim al-Afghani. 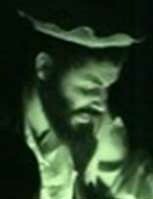 Rahim was arrested not long before, in July 2007 (see July 2007), and he is the only known prisoner in the CIA’s secret prison system at this time (see Late July 2007-March 14, 2008). Furthermore, the US government will later declare him a “high value” detainee, most likely because he is said to have been in contact with Osama bin Laden as a translator and facilitator in recent years (see March 14, 2008). Alleged al-Qaeda leader Muhammad Rahim al-Afghani is transferred to the US-run prison in Guantanamo, Cuba, and officially declared a “high value” prisoner. Rahim was captured in Lahore, Pakistan, by local forces in July 2007 (see July 2007) and then was held in a secret CIA prison until his transfer to Guantanamo (see Late July 2007-March 14, 2008). Why Is Rahim Considered Important? - Rahim is just the 16th person the US government has declared a “high value” prisoner. Fourteen prisoners were given that label when they were transferred from secret CIA prisons to Guantanamo in September 2006 (see September 6, 2006 and September 2-3, 2006). The 15th was Abd al-Hadi al-Iraqi, who was held by the CIA in autumn 2006 and sent to Guantanamo in April 2007 (see Autumn 2006-Late April 2007). [Los Angeles Times, 3/15/2008] Although there had been reports in Pakistan about Rahim shortly after his arrest, virtually nothing was known about him until his transfer to Guantanamo. [Asian News International, 8/2/2007] He may have experienced extreme sleep deprivation during CIA interrogations (see August and November 2007).